Mark is an phenomenal artist. He’s also a musician, a husband, a dad, and an all around cool guy. As a member of our creative community, Mark has invested a lot of his time and talent into ministry here at Rush Creek. From our Elements class to video projects, Mark helps us tell stories and move people through visual mediums. His work is not only inspiring, but missional. 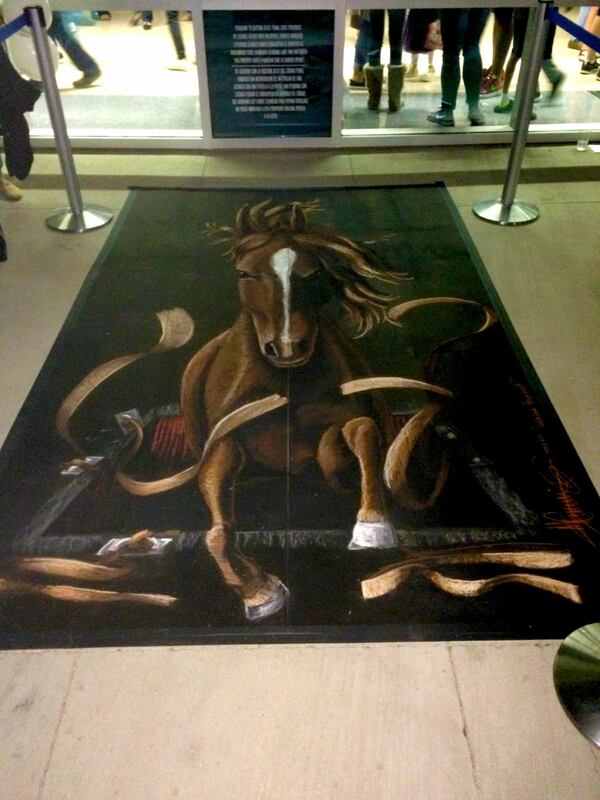 Check out this post to see his chalk mural from Advance Commitment Night! 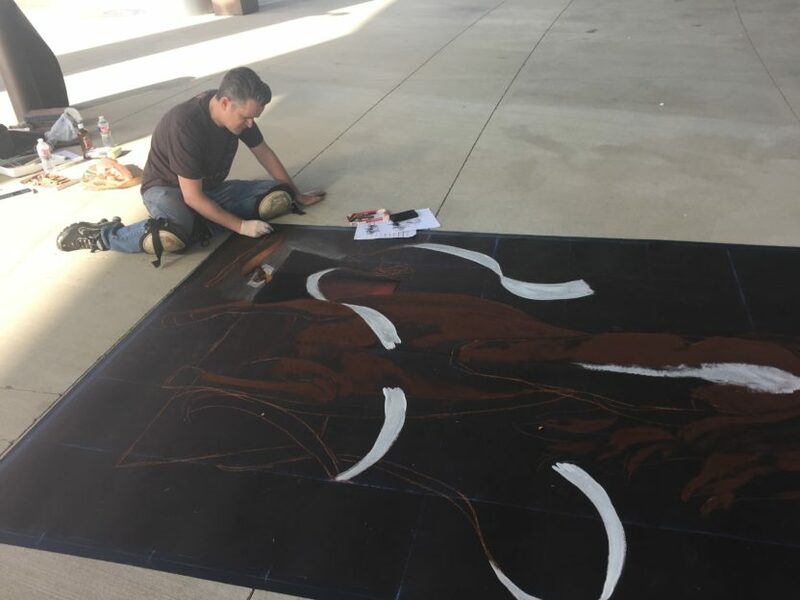 Mark and I had met several months earlier to talk about his creating a chalk mural at the main entrance of the Mansfield Performing Arts Center for our Advance Commitment Night. I had seen several incredible pieces that he had done at various local festivals, and especially loved the ones that looked like they were coming out of the sidewalk. Since all of Unleashed revolved around horse imagery, we landed on the concept of a horse breaking his restraints and leaping out of the sidewalk. From there Mark went to work..and the final product was amazing. Our event kicked off at 6pm that night and Mark started working around noon. 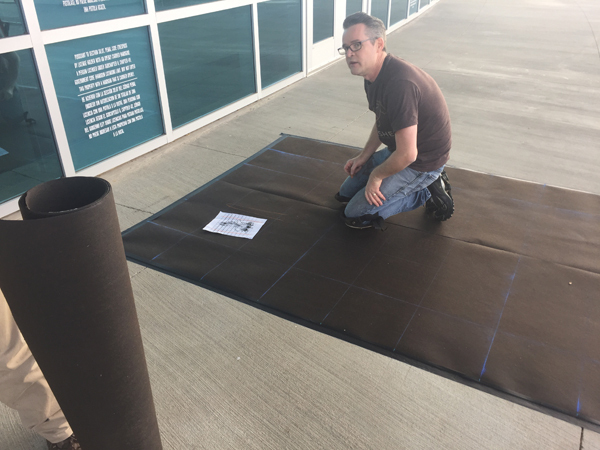 We laid down rolls of roofing felt as a canvas so that we could move the final product at the end of the night. Mark busted out the knee pads and spend the next three and half hours creating something really special. Mark, we love having you on our team. Thanks for all that you have contributed to the Gospel conversation at Rush Creek. If you are an artist, we’d love to get you connected with our RC Creative community too. You can join up with us here.